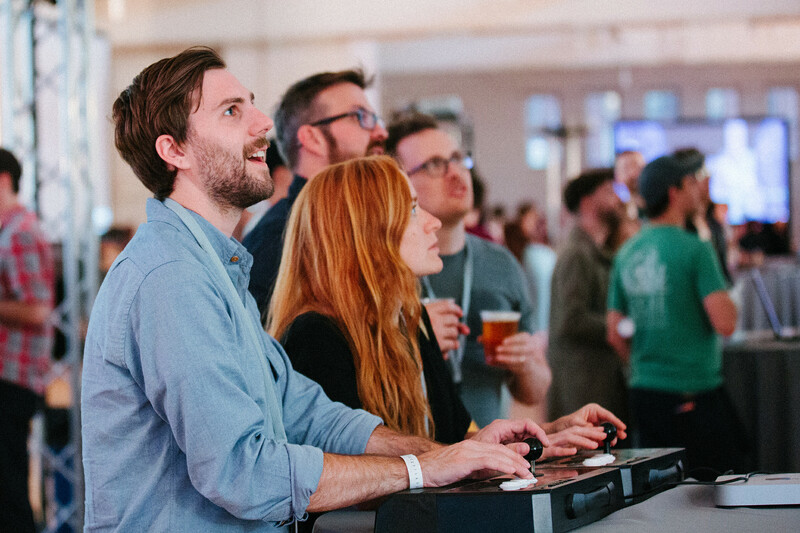 For what may be its final installment, I once again curated the arcade section of Portland’s XOXO Festival, with some ten games, as well as two multi-game stations curated by Portland indie game collective PIGSquad and distribution service itch.io. Bennett Foddy & AP Thomson’s emulated game collage Multibowl debuted at this year’s festival, a two-player minigame collection made up of snippets of vintage arcade and console games, alongside Beglitched, the “cyberpink” hacking puzzle game, also from Thomson & artist Jenny Jiao Hsia. Also featured was Ron Gilbert and Gary Winnick’s Thimbleweed Park, a point-and-click adventure from original LucasArts designers who created the genre, Xra’s visually-stunning glitch-exploration game Memory of a Broken Dimension, the modern-classic adventure from Andrew Shouldice Secret Legend, and Luna, a VR-exclusive game from Wattam creators Funomena. XOXO organizers announced on the final day that the festival would not be returning in 2017, and may in fact be gone for good, bringing to a close four years of some of my favorite exhibitions of games.